LLB (Hons.) B Info Tech. 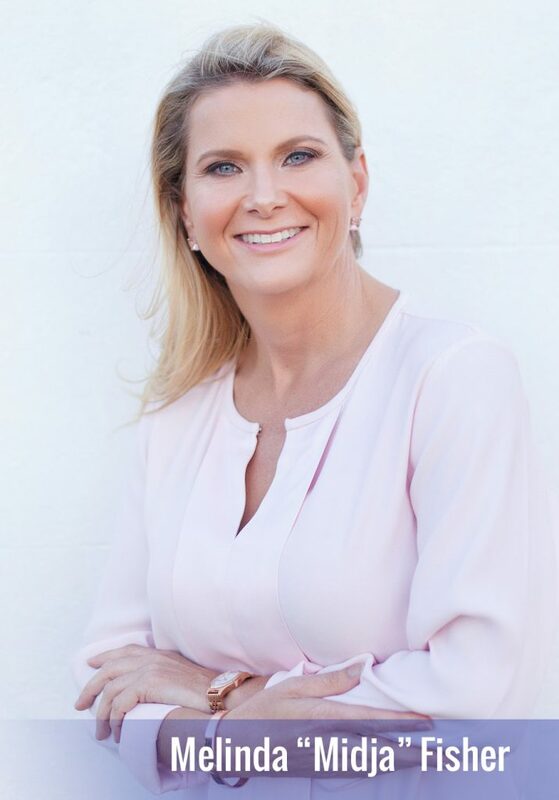 Melinda Fisher, known as Midja, is a lawyer and former partner of Shine Lawyers, one of Australia’s largest compensation law firms. Midja is now a leadership expert who inspires people to gain greater self-awareness and self-belief to lead with purpose and authenticity. She began her career as an IT consultant for PricewaterhouseCoopers, before practicing law and eventually finding her passion in the field of learning and development. Midja is an experienced corporate facilitator, leadership mentor and keynote speaker. She is a frequent facilitator for the Australian Institute for Management. She is the author of the book Confidence – How to be your most Authentic, Courageous and Unshakeable Self’ and her next book Great Lawyer to Great Leader is out January 2019. Midja lives on Australia’s Gold Coast with her three children.